The European Tour heads off to Malelane and the stunning Leopard Creek CC for the Alfred Dunhill Championship. It’s the tenth time that the tournament will be held at the Gary Player designed course. The Innovative design and landscaping techniques used have ensured Leopard Creek golf course and living areas are naturally protected from animals. Lakes and small streams have been diverted through the development to not only create some stunning views, but to make this track a very strategic one. 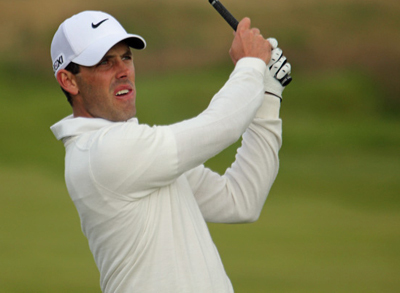 It’s hard to look past defending champion Charl Schwartzel 3/1 who shot two 64s on the way to winning this event. Charl will be bitterly disappointed with not winning last weeks SA Open Championship when he was in a great position going into the final round. But having won this event twice and had three other runners-up finishes it’s hard to make a case against him defending his title this week. Another player that seems to enjoy playing the Leopard Creek CC track is Hennie Otto 22/1 who has had four Top 20 finishes in this event since 2007, three of those being Top 10 finishes. Hennie comes into this week in confident mood after his joint runners-up finish at last weeks SA Open Championship where he shot a third round 65 and followed that up with a final round 68 which contained no fewer than seven birdies. Gareth Mulroy 25/1 comes into this week on the back of a Top 10 finish at the SA Open Championship firing a final round 69. Gareth is a past champion of this event winning it in 2011 shooting a third round 64 on the way to lifting the trophy. Mulroy also had a third place finish here last year and has only been outside the Top 25 once on this track since 2009. I am going to stick with Alejandro Canizares 33/1 this week after he finished just outside the Top 5 at the SA Open Championship last week. One of the main reasons was the Spaniards final round of 68. As I highlighted last week, Alejandro has been getting himself into some great positions but just failed to shot a decent final round score at both the World Tour Championship (75) and Turkish Airlines open (73) and I think he will go into this week taking great confidence that he can put four good rounds together. My other each-way tip this week is going to be Trevor Fisher Jnr 66/1 who finished last weeks SA Open Championship in blistering form firing a final round 64, which contained seven birdies and an eagle. Fisher has seven Top 10 finishes this year on the Sunshine tour. Trevor has had a couple of Top 25 in this event over the last few years and I am sure he will chomping at the bit this week. 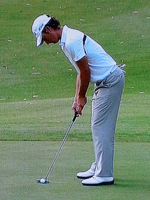 I was surprised to see Marco Crespi 80/1 this far down the betting odds after his showing at the SA Open Championship. Marco led the tournament going into the weekend where he carded two rounds under par to finish the week in the Top 5. The Italian took full advantage of his third place finish at the Final Qualifying Stage for this season European Tour and will becoming into this week in confident mood.